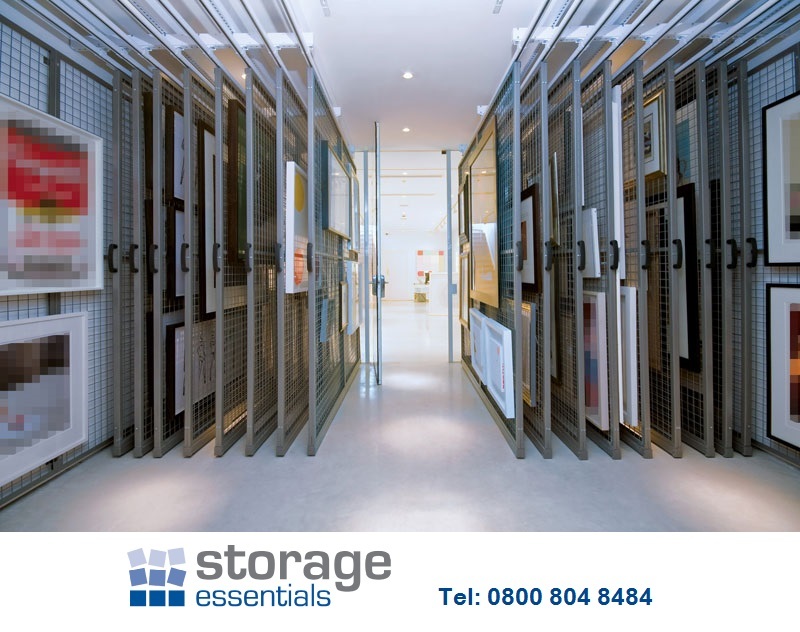 Storage Essentials design and install a wide range of picture racking systems which provide safekeeping and storage of artwork for museums and the private art collector. 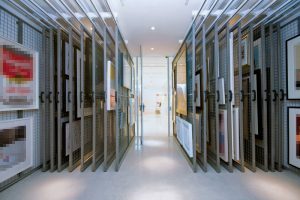 In providing a bespoke solution for your available space and visibility requirements, we supply a wide range of picture frame display racks including floor mounted pull out picture racking, mobile picture racking and wall mounted mesh racks for the safe storage of pictures, canvases or artefacts. This versatile practical storage solution can also be adapted to store historical collections including farming implements, stained glass plaques, animal skins and ancient weaponry. Our steel picture racking systems are manufactured from strong, long-lasting mesh panels which are then colour coated to offer easy viewing and fast access without causing damage to the picture. This allows the client the opportunity to maximise the available floor-space allowing them to increase the number of pictures being displayed.